Some people are born to fly and Chris is one of them. He started flying when he was 13 and never stopped. As a former commercial pilot for 30 years, Chris has licenses to fly air transport, multi-engine, and jets, he also has an instrument rating, is a flight instructor, a licensed aircraft and power plant mechanic. Chris helped preserve this historic airfield, was the airport manager for years until his son took over. He flies the biplane for customer rides daily. 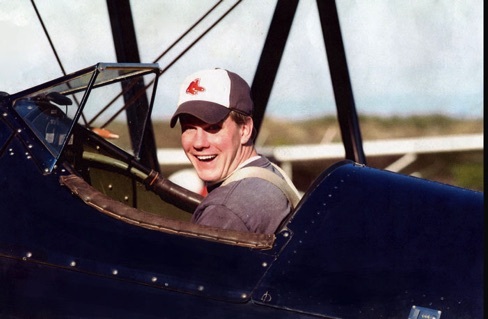 Following in his father’s footsteps, Chris learned to fly in antique airplanes as soon as he was old enough to crawl into the cockpit. He has over 2000 hours flying the biplane and banner tow planes. He is also a licensed aircraft and power plant mechanic. He maintains his own planes (and yours) to the highest standard. Chris Siderwicz is the Airport Manager. Like his father, he flies biplane rides every day during the season.